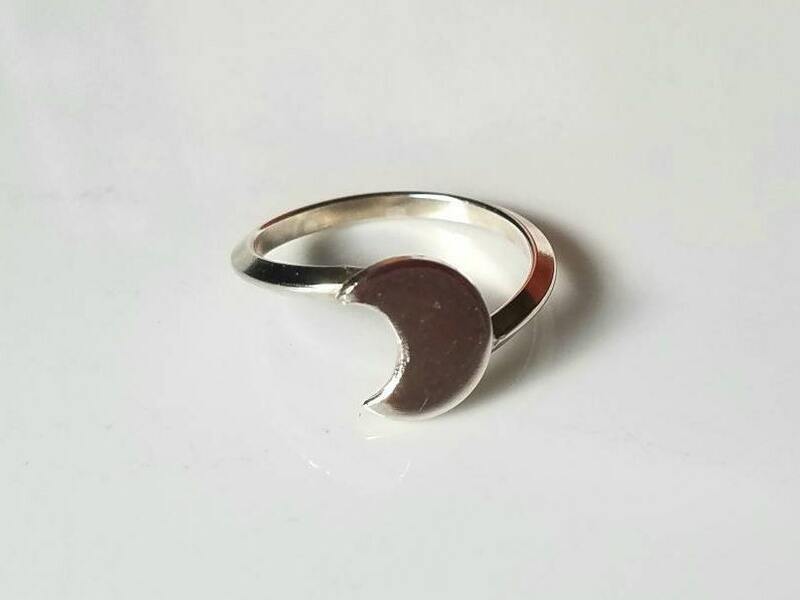 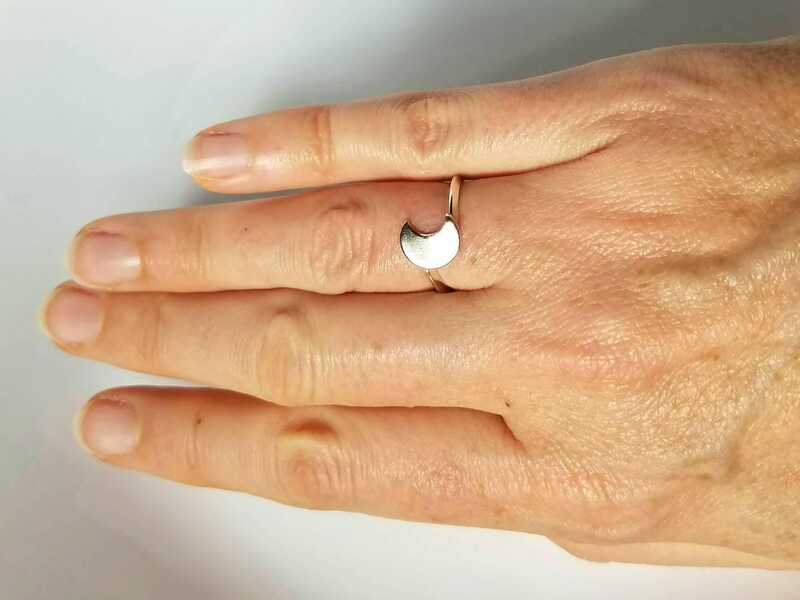 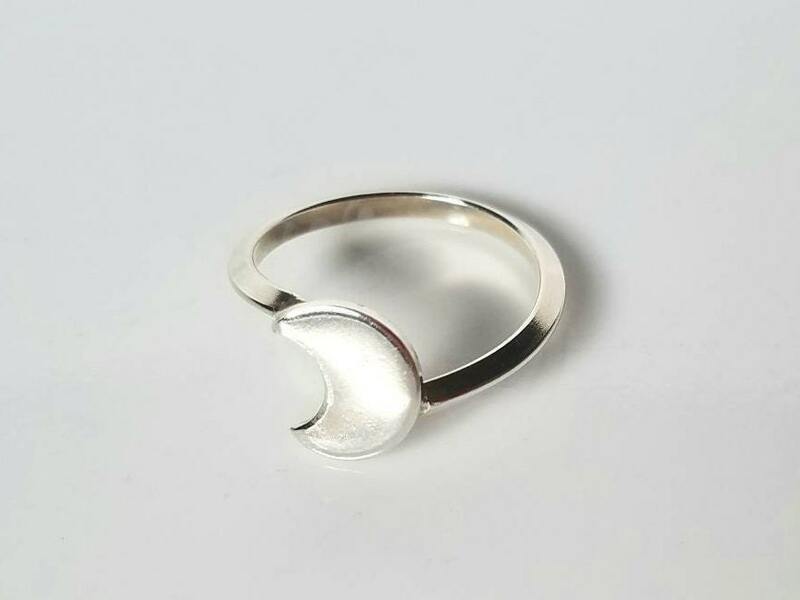 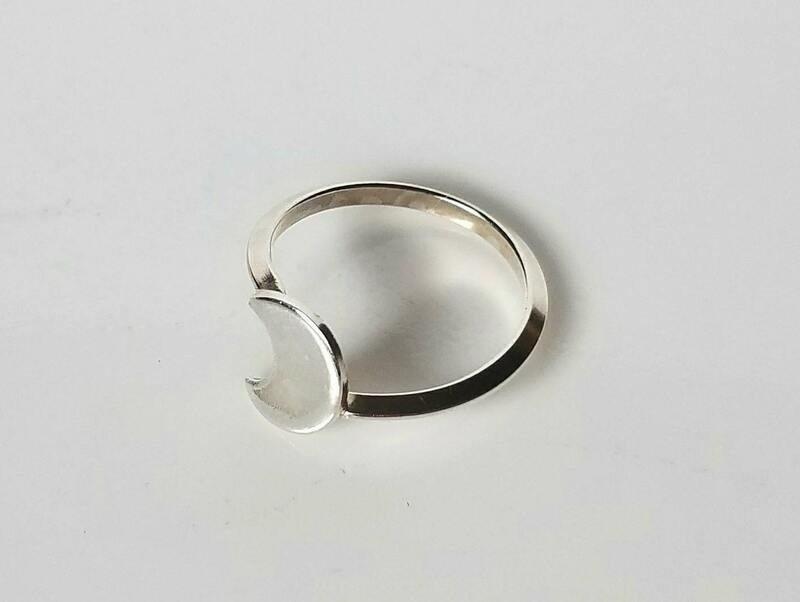 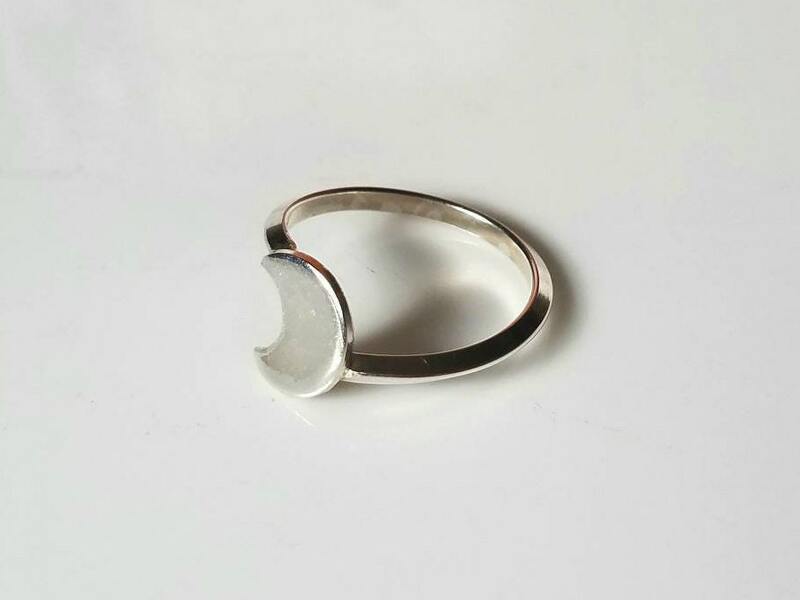 I cut out the crescent moon by hand and paired it with a delicate triangle band, which winds around the finger at a diagonal. 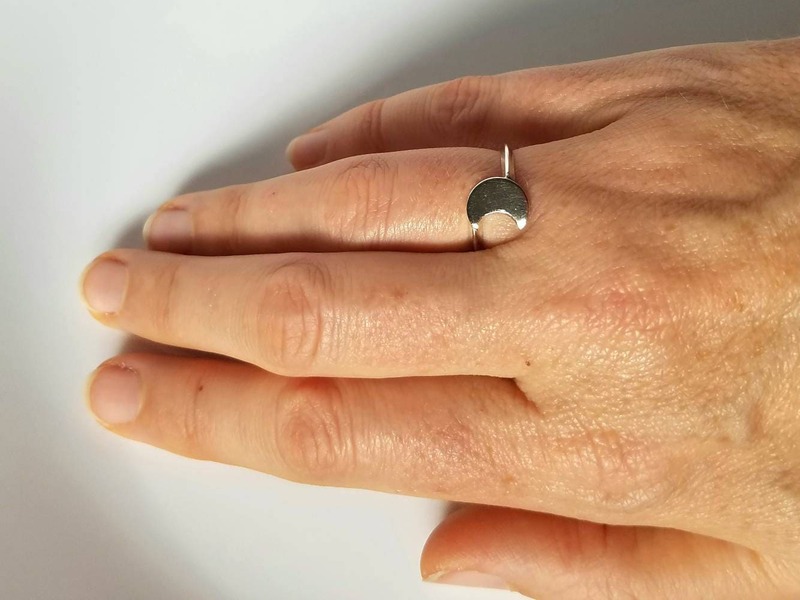 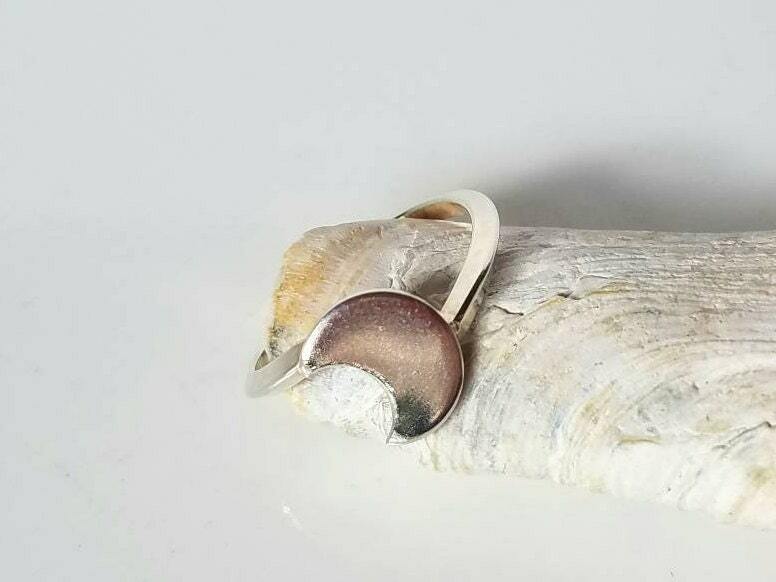 This is a simple, and elegant ring that reflects light beautifully on the finger. 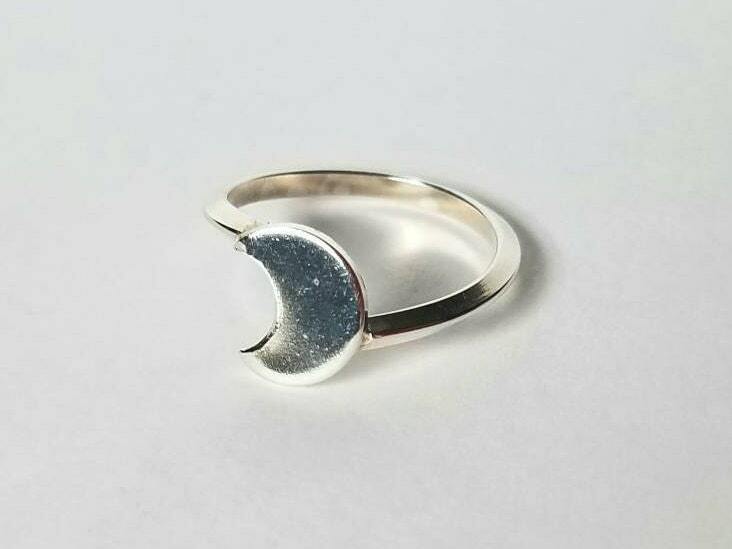 The moon measures approximately 8mm by 10mm, the band is 2mm wide.